HOUSTON – (By Ralph Bivins) – When Exxon Mobil announced in 2011 it would be moving to a 385-acre, 3 million-SF campus in north Houston, the aftershocks started rumbling n the Houston real estate market. The wave of Exxon Mobil’s monumental move is still working way through the Houston real estate market. Exxon Mobil’s prime Inner Loop parcel in the Greenway Plaza area sold earlier this year. Now that Exxon Mobil’s excess Houston property has been largely sold off, it’s time to take inventory. What’s happened to the big buildings and corporate compounds that Exxon Mobil left behind? Exxon Mobil’s Upstream Research Campus on Buffalo Speedway. Earlier this month, Spear Street Capital of San Francisco and Transwestern Development Co. announced the acquisition of the 16.9-acre Buffalo Speedway tract. Demolition work is underway. The prime location, a few blocks from Greenway Plaza, lies between two of the most affluent neighborhoods in Texas – West University Place and River Oaks. The property is expected to be transformed into a major mixed-use development, although there is no official announcement on the plans. This Greenspoint building was formerly occupied by Exxon Mobil. Greenspoint. The Greenspoint area, a business district near Bush Airport, suffered as Exxon Mobil vacated 2 million square feet as part of the move to the north. 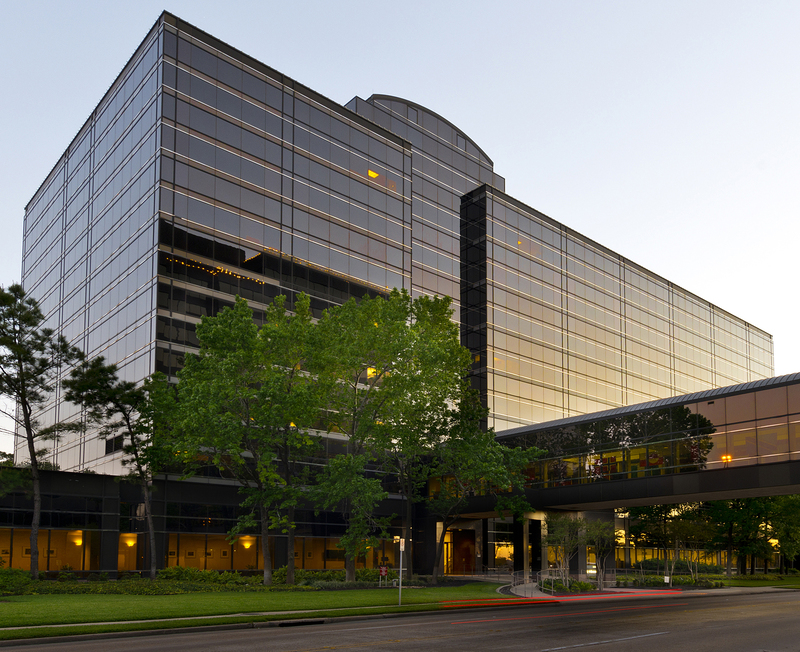 The office vacancy rate for the entire Greenspoint submarket is one of the highest in the nation. Some building owners waved the white flag and surrendered. The nearby Greenspoint Mall lost major anchor stores years ago and that doesn’t help. Losing Exxon Mobil was a gut punch for the Greenspoint area and recovery won’t come overnight. Downtown Houston. Exxon Mobil sold its 45-story Houston skyscraper to Shorenstein Properties for $50 million a few years ago. Shorenstein commissioned Ziegler Cooper Architects to create redevelopment plan for the building, which was constructed in 1962 at 800 Bell. The plan to connect the building to the downtown tunnel system would have been a major plus. But the redevelopment plan has been put on hold while the Houston office market is healing. Third Palm Capital is opening up the former Exxon Chemical campus in the Energy Corridor. Energy Corridor. In West Houston, Exxon Mobil Chemical’s 35-acre office campus on the south side of Interstate 10, adjacent to Terry Hershey Park was sold to Third Palm Capital, part of the Dart Enterprises organization, for $72 million. Third Palm, renamed the site Republic Square, and created an ambitious plan to develop a 2.6 million-SF mixed-use project. The new development is delayed. But Third Palm is exuding a tremendous amount of enthusiasm creating co-working office space, discussing opening a beer garden and art studios. New tenants have been moving into Republic Square. Plus, Third Palm doing something very un-Exxon like – allowing the public to venture onto the grounds. Northwest Houston. The 24-acre Exxon Mobil Brookhollow campus near the intersection of Highway 290 and Dacoma Street sold last year for $11 million. The buyer was a partnership of Khaled Salem of Williamsburg Enterprises and Alan Hassenflu of Fidelis Realty Partners. The site may be redeveloped for retail use. The location is not far from the site of a proposed terminal for the ever-notional 200-mph Texas Central bullet train to Dallas. The bullet train, however, should have its final terminus in downtown Houston, a major employment center, not off of Highway 290. Exxon Mobil’s new campus injected a lot of momentum into north Houston. 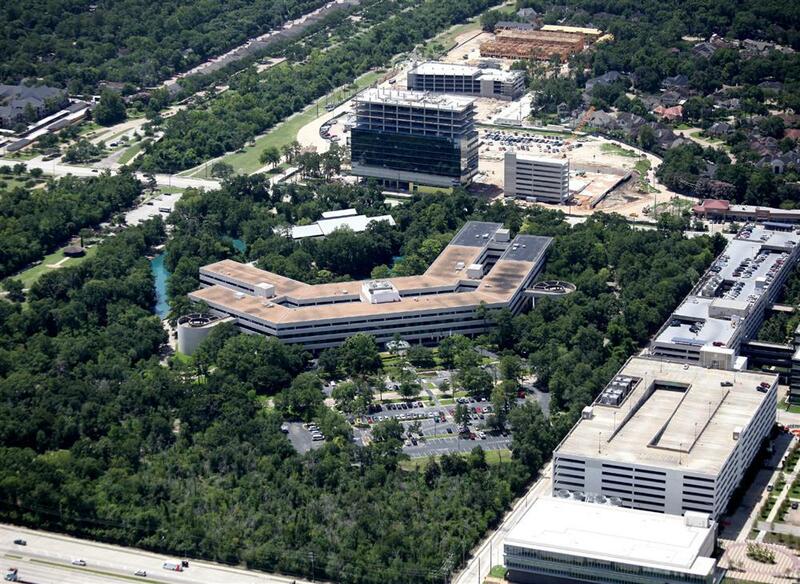 The 1,800-acre Springwoods Village development where Exxon Mobil built its huge campus, which opened a couple of years ago, has seen significant new multifamily and office construction around it. Hotels and retail are planned. But a lot of the 10,000 Exxon Mobil employees who moved to the new campus aren’t staying very long. More than 1,000 employees – perhaps as many as 1,800 – at the new campus reportedly are retiring in the first quarter of 2017.